​St. 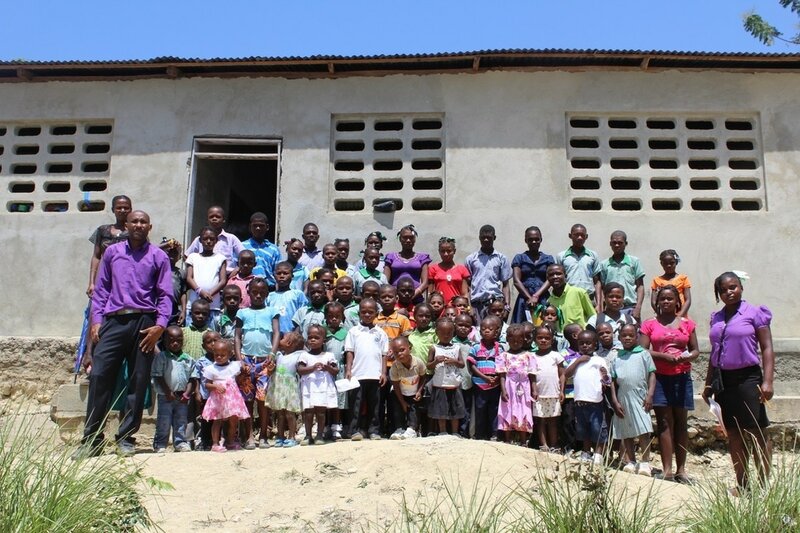 Paul’s School is located in the Centre Region of Haiti on a sunny hillside about a 2 hour hike into the mountains north of the town of Cange. Paul Farmer’s Zamni Lasante Partner’s in Health hospital also is in Cange. Local children often walk from neighboring farms and villages to attend school. At various times, the school has served as low as 40 students, but recently has seen increased enrollment and has 165 students for the 2018/19 school year. The addition of a food program has helped the school grow in size and has allowed students to stay for a full day rather than leave after morning classes. Currently the school has a total staff of 17 -- a Director, nine teachers, and seven support staff including cooks, yard guard, housekeeper, and lay leader. Growing in size also has its challenges: the school only has 3 cinderblock classrooms and already is challenged to pay its teachers and staff, particularly since the government mandated an additional month of school. 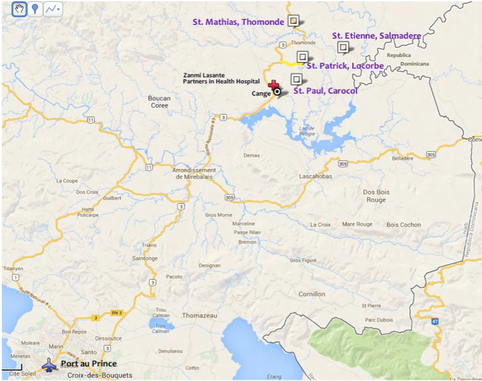 Many Episcopal priests in Haiti have oversight of several congregations, schools, and stations. Our partnership contact is Pere (Fr.) Kesner Gracia who works out of Cange. Fifteen churches and five schools are under his oversight. ; US partners: St. Matthew’s Parish School, Pacific Palisades, CA, and National Cathedral School/St. Alban’s School, Washington, D.C. When our group visits Haiti, we often attend Sunday worship with whichever congregation the priest is serving that Sunday and visit another local school as well as our own.